One of the key findings of the Bible Engagement Study was the clear correlation between confidence in the Bible and connection with the Bible. Only those who “strongly agreed that the Bible was God’s Word” were regularly engaged with Scripture. For those of us who are pastors, our first reaction to this finding may be to preach a sermon on the inspiration and authority of Scripture. While there is certainly a place for a sermon, or even a series of sermons, that provides credible reasons to trust the Bible as God’s Word, one sermon or sermon series won’t win the day. A more systemic solution is to make sure that every sermon, and every series, is an apologetic for the authority of the Bible. This happens as our sermons evidence the same deep-level confidence in Scripture that characterized Jesus. In the gospels we repeatedly hear Jesus affirming the authority and reliability of God’s Word: “The Scripture cannot be broken” (John 10:35); “the Scriptures must be fulfilled” (Mark 14:49); “Your word is truth” (John 17:17). Throughout his life and ministry, Jesus relied upon, referred to and rejoiced in Scriptures. Pastors can build confidence in the Scriptures in their congregations by evidencing a confidence in the Scriptures in their sermons. Preachers who base their words on God’s Word and bend their thoughts to His truth are providing an ongoing apologetic for the authority of the Bible—even when they are not directly addressing the topic of the Bible’s authority. Charles Spurgeon, who was well aware of the attacks on the Bible in his day, encouraged preachers to confidently proclaim the message of Scripture and let the Bible defend itself. A great many learned men are defending the gospel; no doubt it is a very proper and right thing to do, yet I always notice that, when there are most books of that kind, it is because the gospel itself is not being preached. Suppose a number of persons were to take it into their heads that they had to defend a lion, a full-grown king of beasts! There he is in the cage, and here come all the soldiers of the army to fight for him. Well, I should suggest to them . . . that they should kindly stand back, and open the door, and let the lion out! I believe that would be the best way of defending him, for he would take care of himself; and the best “apology” for the gospel is to let the gospel out. Never mind about defending Deuteronomy or the whole of the Pentateuch; preach Jesus Christ and him crucified. 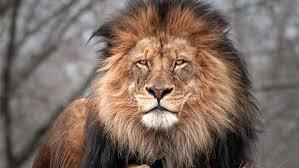 Let the Lion out, and see who will dare to approach him. The Lion of the tribe of Judah will soon drive away all his adversaries. This entry was posted in Ministry Matters and tagged Bible, Bible Engagement Survey, Heritage College and Seminary. Bookmark the permalink.